The worst sound in the world. Last night, for the first time, Will was sick. This time it was different. Paul had heard sounds of retching and walked in to find Will, covered in vomit, shaking with fear. For the first time, his little body had betrayed him and been sick — he was certainly feeling poorly and very scared. I quickly picked him up (covering us both in drippy mess) to comfort him. After a minute of calming him, we both stripped down and Jessica helped to get us both clean again. Paul got to work on cleaning up the room and crib. We got both of us dressed again and I commensed holding and cuddling my baby. It wasn’t long before he started throwing up again. It would last until about 3am. Fortunately, he never ran a fever and was fine today. We are so relieved that he is fine today! He is not really eating (a few Pedialyte pops and a some saltines) but has been happy and energetic for most of the day. 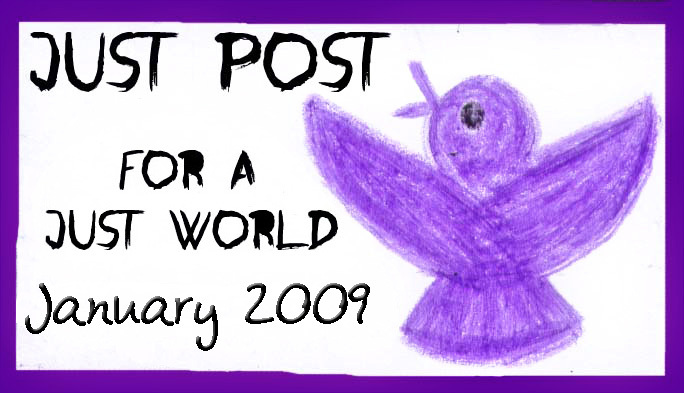 Maybe we did get a 24-hour stomache flu (aka: rotovirus) and not food poisioning? At least he isn’t holding scissors. 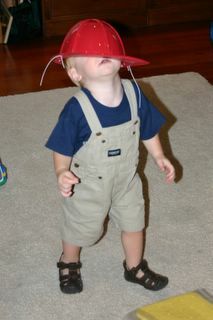 Running full speed with his hat pulled over his eyes… fun! 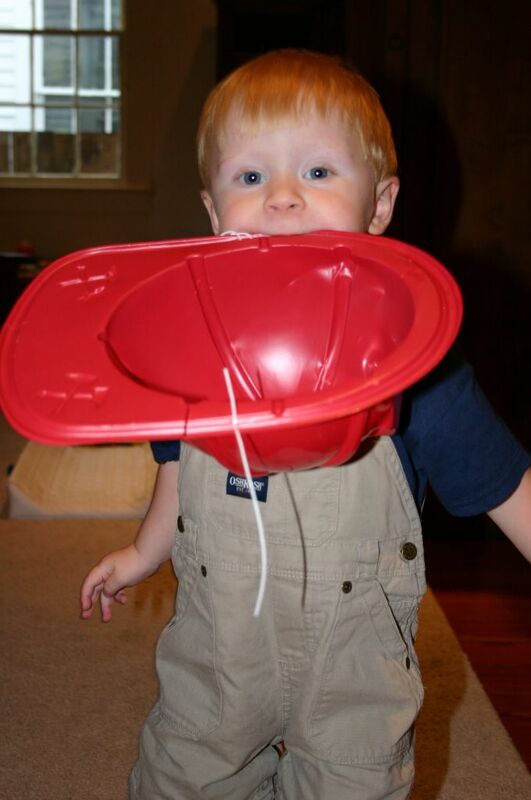 Will’s new playtime activity with the fireman’s hat… carrying it like a bowl in his mouth. If anyone can explain where this new game came from, we’d love to understand…? 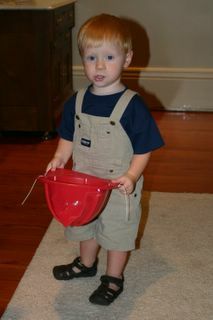 Will tells me all about his fireman’s hat! 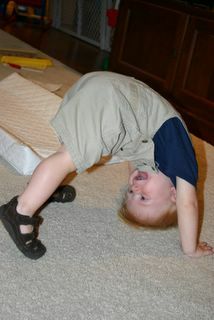 Will practices his yoga and summer salts. First we went to Laura Plantation. This plantation had been a french-speaking, family owned facility until 1985 and feels much different than your average plantation tour (a nice change). Additionally, a thunderstorm kept things interesting. It soaked Will’s stroller so that Paul and I had to take turns carrying a crazy, explorative toddler through the tour (it was mostly outdoors through the slave cabins.) Will was good, but ready to be done by the end. The tour itself is touted as a great history tour, and it was. 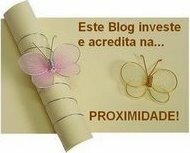 The information is based on Laura’s written account of the four generations (of women!) who ran the family plantation as well as historical documents. (Lesson: Under French rule and French law, women and people of color could own land and plantations.) It also includes detail, and photographs, of the slaves on the property. This history is important to the significance of Laura, as it was here that the stories of Br’er Rabbit were penned. 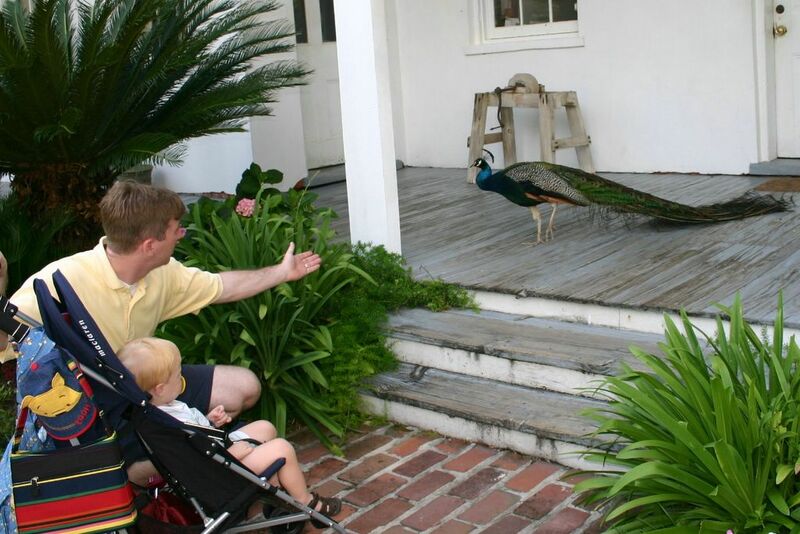 Then we drove by beautiful Oak Alley Plantation. Seen in lots of movies, Oak Alley has a most impressive entrance. Then we got lost. Directions were a little difficult to come by. 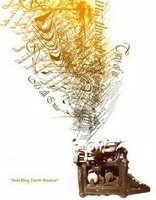 First, folks had a hard time understanding Karim’s french accent (unfortunately, french creole speakers were hard to find) and the directions themselves were a bit weak (they were of the “… follow the curves, turn left at the third large oak, then right at the first high water…” variety). Finally, we took our last tour at Nottoway Plantation. Here, we got the standard slavery apology (“…we aren’t saying that Mr. Randolph was a great humanitarian, but he did recognize the value of carrying for his property and therefore touch steps to keep his slaves as healthy as possible.”) Paul gave the best analogy: “we pad our electric chairs!” Still, it was an interesting and impressive structure with unique history. 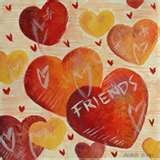 A very fun day! They’ve inspired us to check out more and get out further into the country… maybe even take in a few swamp tours! 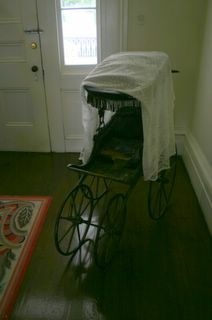 Luxury for the 19th century baby, as seen in Nottoway Plantation. Will, Paul and I in the gardens at Nottoway. 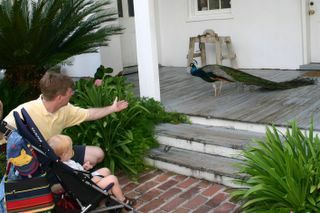 Will and Paul interact with the peacock at Nottoway. 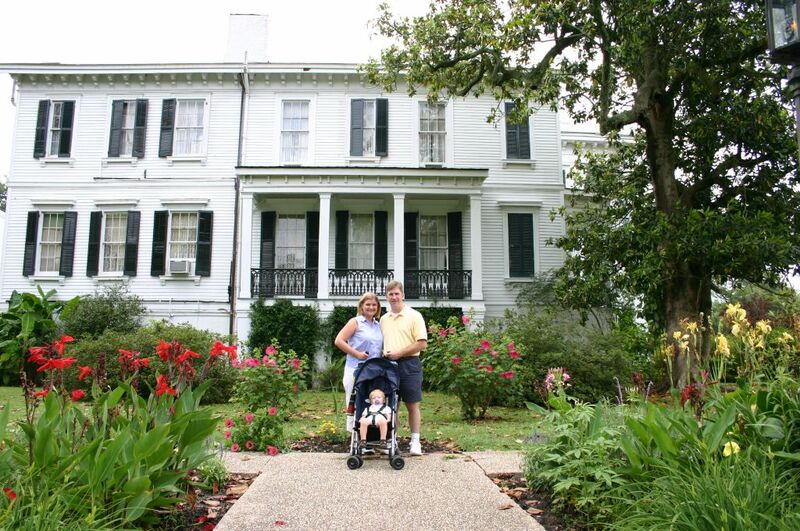 Paul, Will and I in front of Nottoway Plantation. 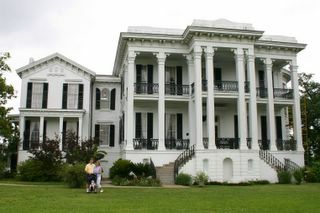 The largest plantation home in the south.